I was on a broccoli kick for a while and thought this recipe would cure that craving - well, actually it just increased it! Once we finished this dish I was ready to turn around and immediately make another one. Mix the rice, finely grated cheese, and one egg in a bowl. Bake until the edges and bottom just start turning golden brown, about 5 to 7 minutes. Turn the oven down to 375. 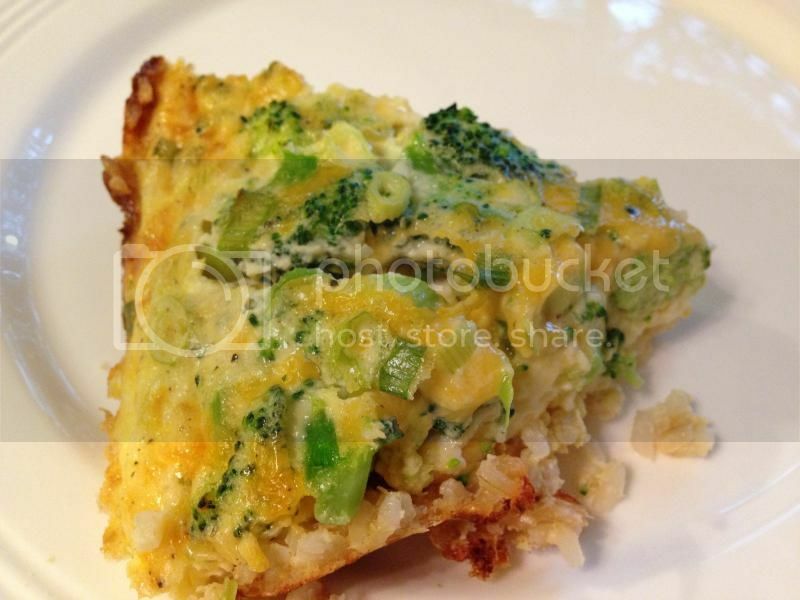 Mix the remaining eggs, milk, broccoli, sharp cheddar cheese, and green onions in a bowl. Pour the egg mixture into the pie crust and put dish back in the oven until the crust is golden brown and the egg is set in the center, about 30 to 35 minutes. This ended up being a simple and somewhat elegant dinner when we served it with a salad to our dinner guest.